Your Father’s Moustache sprouted in December of 1989 when there was only a handful of food & drink establishments on Spring Garden Road. Since then, many, if not most have changed hands, changed names or simply closed their doors. Only one establishment has remained a family-run, good time destination that continues to grow in popularity – Your Father’s Moustache. Why? It could be because of our delicious handcrafted food, and our friendly, welcoming staff. 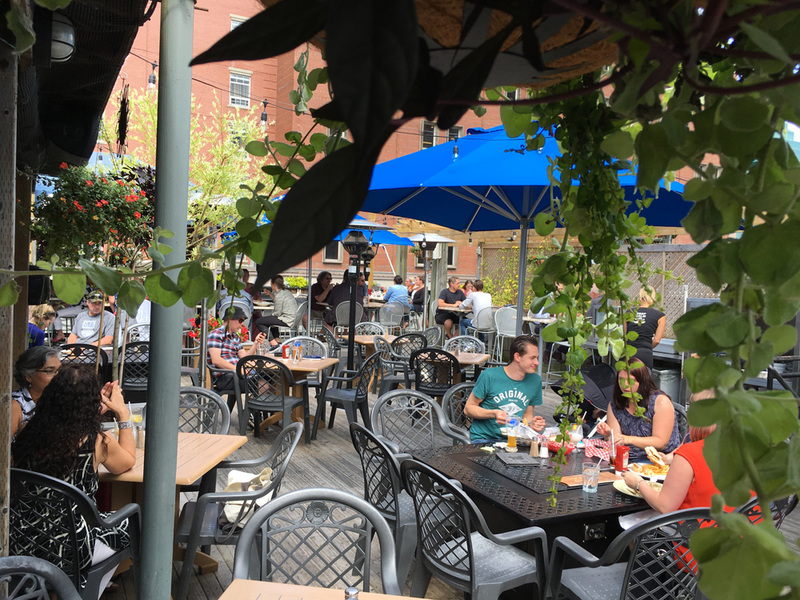 Maybe it’s because we have the best patio in Halifax as voted by readers of The Coast magazine every year they have been doing the ‘Best of Halifax’ contest. Perhaps it’s because the Moustache is home to the best and longest-running blues show in Halifax every Saturday afternoon. Or, it could simply be because we just try harder than everyone else. Whatever the reason, you are sure to enjoy a great meal and a great time at Your Father’s Moustache. Craft beer is simply part of who we are at the Moustache. We don’t just serve it – we live it. That’s why it says Craft Beer Lives Here above our door. It’s not just a saying – it’s a promise. We are fortunate to be part of a proud family of businesses dedicated to brewing, serving and promoting craft beer. Craft beer is in our blood. Brewmaster Ian Kean is constantly experimenting and perfecting unique, appealing and award-winning recipes, and is focused on producing some of the finest brews in the region. But our love of beer doesn’t stop with what we make and serve in house. We are also committed to bringing you some of the most interesting, exacting and unique craft beers from around the region and the world. So pull up a chair, explore the menu, and start discovering why Craft Beer Lives Here. Enjoy our famous rooftop, winner of the Best Patio honour in the Coast’s ‘Best of Halifax’ reader’s survey for 17 years running!